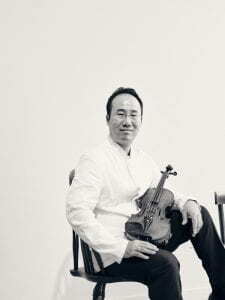 Mr. Won Hyung Joon is a world-renowned South Korean violinist and peace activist working toward an inter-Korean orchestra comprising musicians from North and South Korea. Mr. Won recently signed a memorandum of understanding (MOU) on November 2, 2018, with the DPRK’s Korea Performing Art Exchange Society, which falls under the country’s Ministry of Culture. The first historical joint performance will be held at the Jeju Arts Center in South Korea on December 30, 2018. As the founder of Lindenbaum Orchestra, Mr. Won has been working on the prospect of creating an inter-Korean youth orchestra for the past nine years. In this special event sponsored by GWIKS, Mr. Won will first perform Beethoven’s Romance No.2, op.50, Estrellita (My Little Star) by Ponce, and Sarasate’s Zigeunerweisen. After the recital, Mr. Won will share his vision of how to reconcile differences between the Koreas through the power of music and build trust through music diplomacy in achieving harmony and peace on the Korean peninsula. The evening will conclude with a short Q&A with the audience. Hyung Joon Won is a South Korean violinist widely recognized for his musicianship and national activism. A child prodigy, Won gave his first solo performance with the Seoul Philharmonic Orchestra at age 10. Before enrolling at Juilliard, he won numerous competitions such as the Kingsville International and New York Philharmonic Festival. 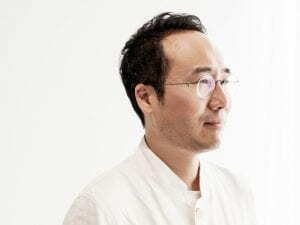 Won has worked with a number of world-renown orchestras as a soloist, including the Hong Kong Pan Asia Philharmonic, Massapequa Philharmonic, and the Marrowstone Festival Orchestra. In 1990, Won proudly represented South Korea when he performed at the World Economic Forum (WEF) in Switzerland. The forum, which celebrated the 1990 reunification of East and West Germany, inspired Won to think of music as a medium of reconciliation. In 1996, he performed at the UN General Assembly Hall under the theme of World Peace. Such performances strengthened his resolve to leverage his musical career for the reunification of North and South Korea. Director Jisoo M. Kim is Korea Foundation Associate Professor of History, International Affairs, and East Asian Languages and Literatures and Director of the Institute for Korean Studies at GW. She received her Ph.D. in Korean History from Columbia University. 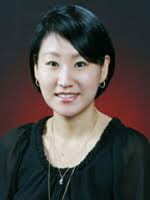 She is a specialist in gender and legal history of early modern Korea. Her broader research interests include gender and sexuality, crime and justice, forensic medicine, literary representations of the law, history of emotions, vernacular, and gender writing. She is the author of The Emotions of Justice: Gender, Status, and Legal Performance in Chosŏn Korea (University of Washington Press, 2015), which was awarded the 2017 James Palais Prize of the Association for Asian Studies. She is also the co-editor of The Great East Asian War and the Birth of the Korean Nation by JaHyun Kim Haboush (Columbia University Press, 2016). She is currently working on a new book project titled Suspicious Deaths: Forensic Medicine, Dead Bodies, and Criminal Justice in Chosŏn Korea. This event is open to the public free of charge. However, reservations are required.